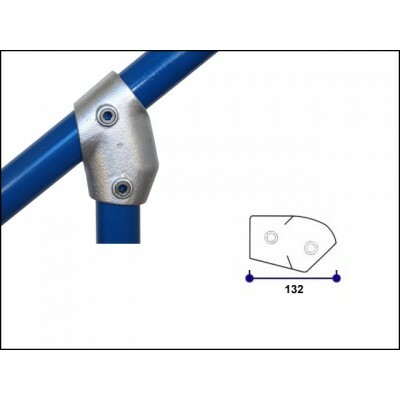 Adjustable Short Tee joint that can be adjusted between 30 degrees and 60 degrees, often used on staircase top rails and braces. The through tube, that is shown as sloping in the image, cannot be joined within the fitting. The measurements shown in the image are in millimetres.